I created this Summer Bucket List to make sure summer didn’t pass us by without us enjoying what I consider to be essential summer activities. I’m not going to lie, it was also an easy way to give my kids a ready list of things to do when they inevitably start complaining one week into summer break that they have nothing to do. 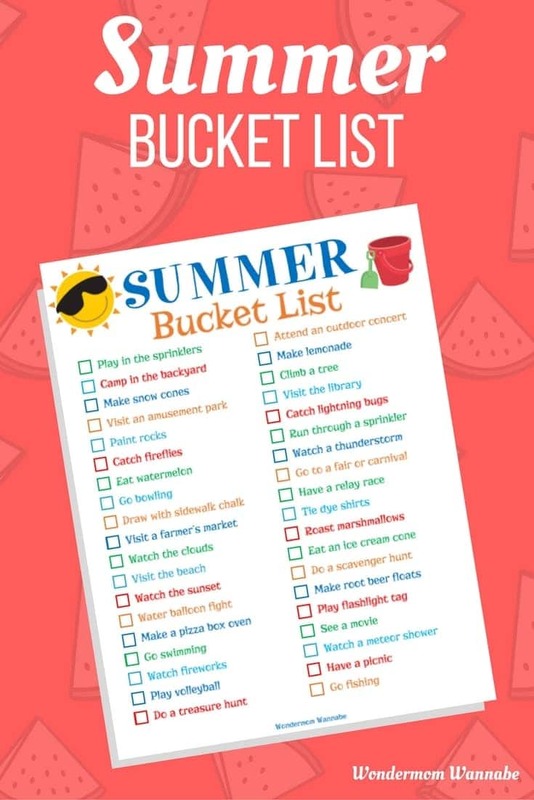 Most of the ideas on this summer bucket list are things your kids can do right at home. However, I’ve also listed a few “field trips” for the family – fun summer activities that create great memories. To download the printable, just fill in the form below the image. You can then save and/or print it immediately. If you like this Summer Bucket List, you might enjoy some of these other fun family activities. On days when it’s just too hot or stormy outside, pull out one of these family board games. When the weather is just right, try one of these fun outdoor family activities. Traveling during summer vacation? Check out my family travel sanity savers. 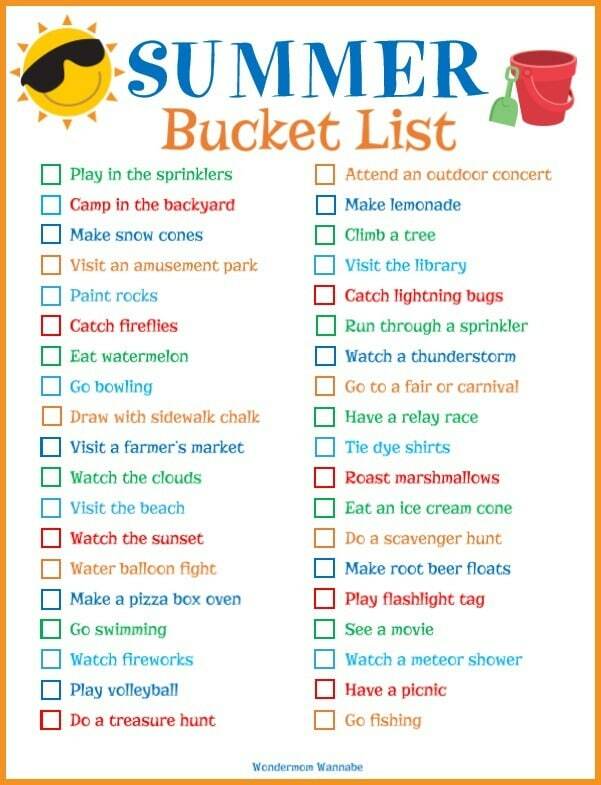 I love the Bucket Lists but I can’t find the Summer Bucket List on the list of subscriber printables. I can only find the Summer Reading List. Am I just overlooking it? Thanks for all the awesome printables! I had to get a bigger binder! Oh! Thanks for pointing that out. It’s possible I forgot to add it or accidentally deleted it during a different update. I’ll update it now and email you a copy as well. Thanks! I hope you enjoy the activities.